This lever-operated roll towel dispenser from San Jamar includes an ergonomically-designed handle with Bio-pruf® to prevent the growth of bacteria. 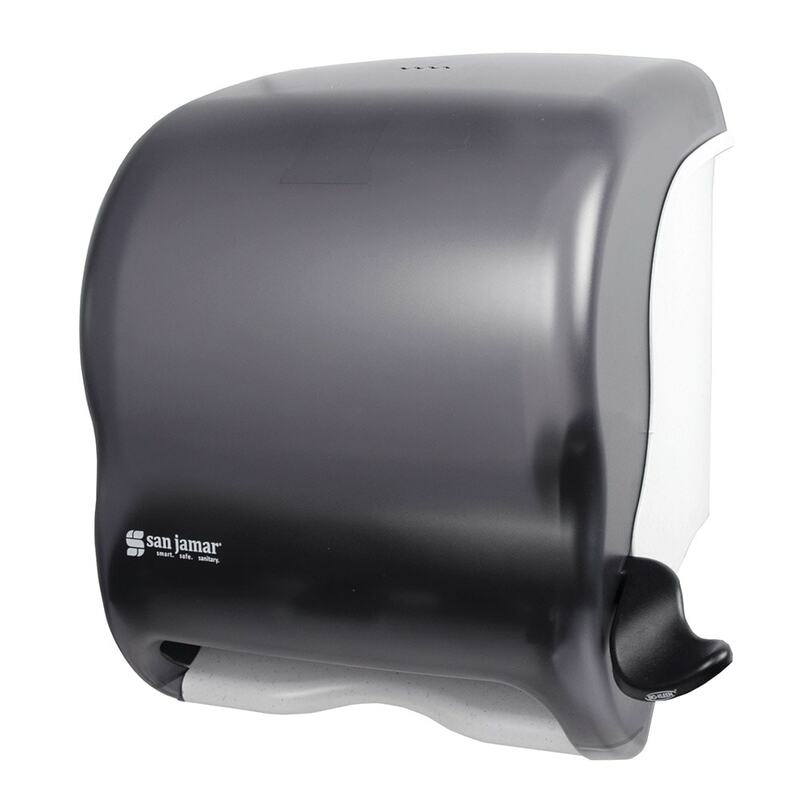 The T950TBK is a wall-mounted dispenser with a compact design and universal core size compatibility, capable of holding up to 800 feet of paper towel. 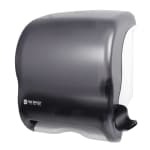 This Classic Element roll towel dispenser is constructed from break-resistant plastic with a translucent Black Pearl finish. Capacity for large roll towel, up to 800 ft.